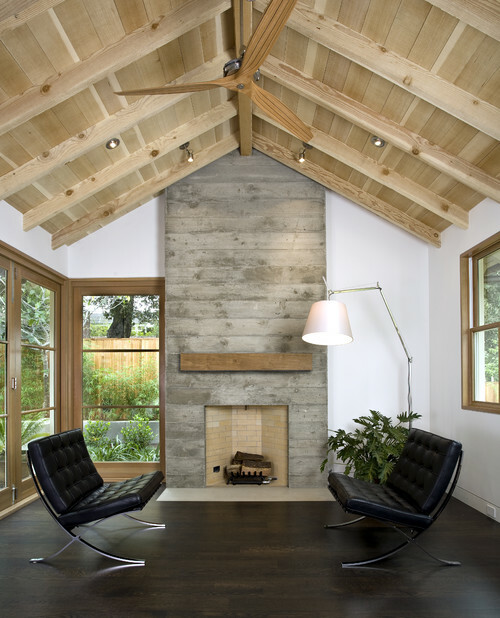 Are Vaulted Ceilings Right for Your Next Home? Soaring ceilings with interesting architectural detail can hold allure for many people looking to buy or build a house. There’s no doubt that vaulted ceilings — also known as cathedral ceilings — can create a light and airy space and make a room look bigger than it really is, but know what you’re getting yourself into before falling head over heels in love. You can weigh the pros and cons here. The positive: They let the sun shine in. 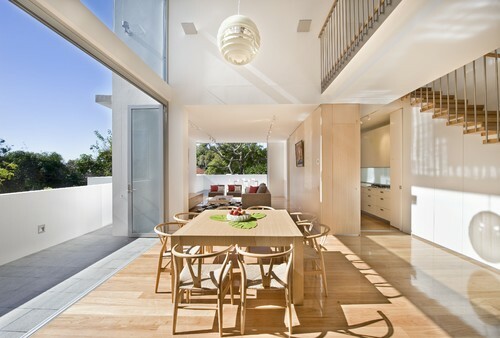 Sky-high ceilings can make way for plenty of glass. If a home faces south (north in Australia), this can be a wondrous thing. Warm in winter, cool in summer — a room like this is the place to be. On the flip side: On cold and cloudy days, the vast spaces created by vaulted ceilings can be difficult to heat. Double glazing is the way to go to trap any natural winter warmth inside. The positive: They make a room far more interesting. Consider this gorgeous ceiling. The timber adds tonal warmth and unusual detail to this chic bedroom; it’s far more exotic than a plain white ceiling. On the flip side: If you like your bedroom to feel as cozy as a cocoon, the light and airy vibe a vaulted ceiling creates may make it not the right choice for you. The positive: They give hot air somewhere to go. Planned well, vaulted ceilings can create an escape route for rising hot air. 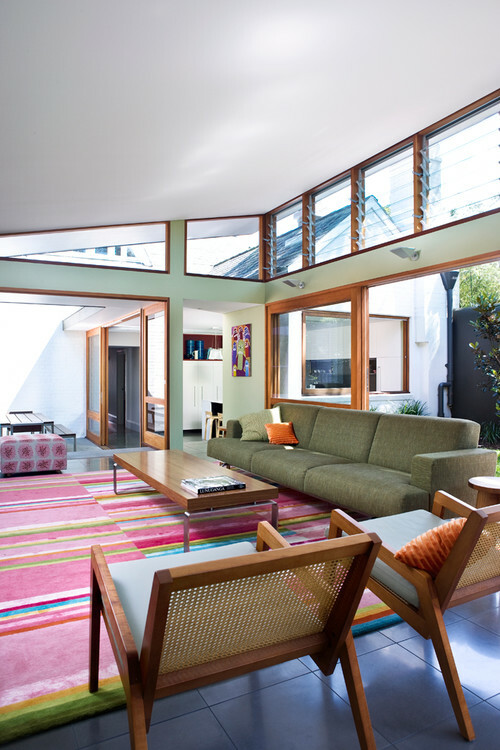 The louvers in this living room vastly improve the home’s airflow in summer, while allowing in plenty of natural light all year round. On the flip side: High ceilings can make a home less energy efficient in the cooler months, with heat tending to sit uncomfortably out of reach. The best passive solar designs will bring in enough sun from the south (from the north, in Australia) to counter this, however. The positive: They can give a home serious rustic appeal. Natural timber, rough-hewn rafters, matching floors and window frames — all these factors can work together to add charm to any style of home. When there’s a fireplace added to the mix, it can be an unbeatable combination. On the flip side: Dusting fans and changing lightbulbs are more challenging chores when vaulted ceilings come into play. A small thing, perhaps, but if teetering atop a towering ladder is not your idea of a good time — or you’d rather not risk a fall — factor this into your decision making. The positive: They make the most of the roof space. Why have an empty roof cavity when you can create a vastly more interesting ceiling for the room below? On the flip side: Ceiling detail like this is commonly created at the time of building. If you like the idea of adding a vaulted ceiling to your existing home, employing the services of a structural engineer and an architect is a must. 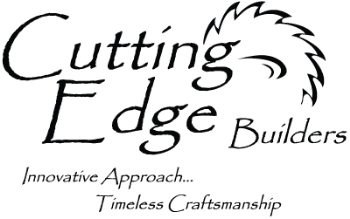 Insulation options will need to be carefully considered, too. 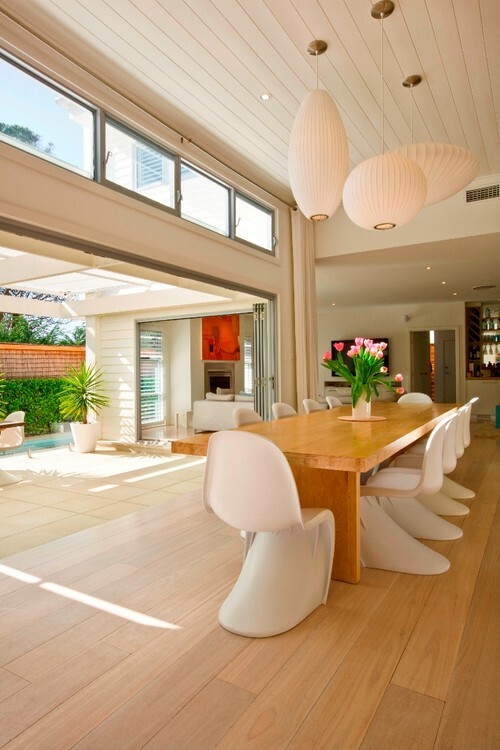 The positive: Exposed rafters can add real character. Vaulted ceilings give you the chance to make rafters a showstopping feature. Whether painted or left in their natural state, rafters can take a room from drab to flat-out fab. 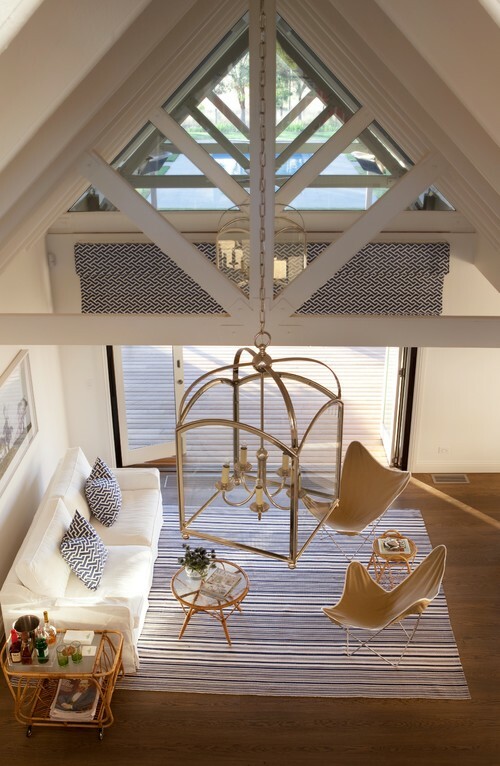 On the flip side: Soaring ceilings can make living spaces feel less warm and intimate. Strategies to visually lower the height of a ceiling will be necessary to avoid this — tall wall hangings or window treatments and low-hanging pendants are two such tricks of the trade. The positive: They can give you room to move. A small space like this could feel cramped without the help of a vaulted ceiling. The extra lift lets in the light and makes this kitchen feel much larger than it actually is. On the flip side: Small spaces are not necessarily a bad thing. Go easy on clutter, and tighter quarters can be cottage cozy. The positive: They’re a practical option for bathrooms. 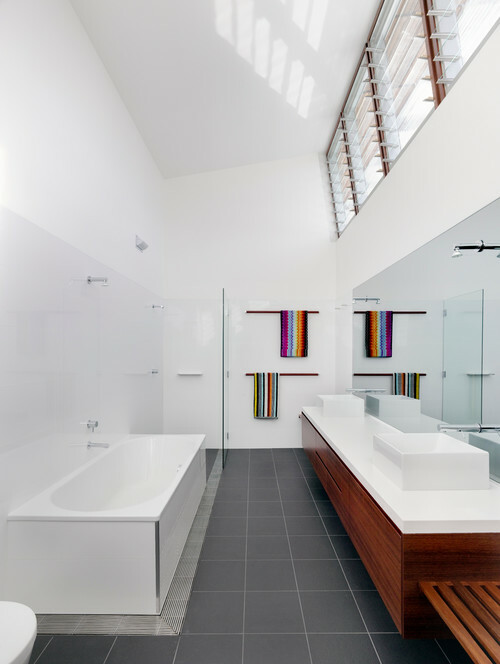 If you live in a humid climate — or even if you don’t — a well-ventilated bathroom made possible by a vaulted ceiling could be a godsend. Mold is never a pretty sight, so the faster your bathroom can dry out after a steamy shower, the better. On the flip side: If you have an effective exhaust fan and heated flooring, drying out a bathroom with a normal ceiling height post shower can be done in a flash. The positive: They add a sense of grandeur. 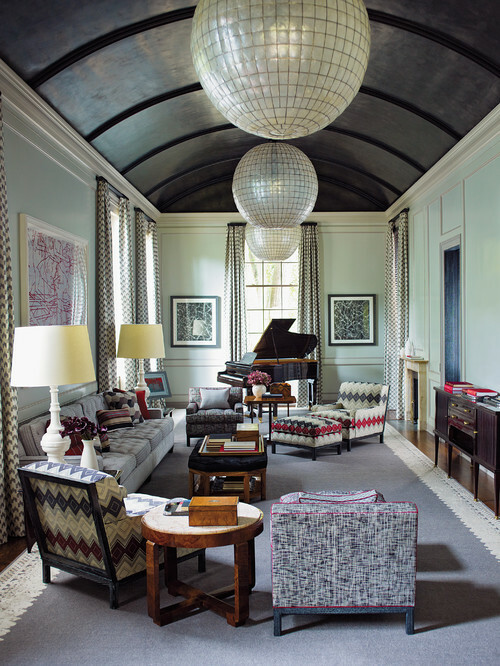 Few things say grand like a vaulted ceiling, as this living room so admirably demonstrates. Such a ceiling is an invitation to go all-out when it comes to furnishings and accessories. A grand piano sits effortlessly in this magnificent space; whereas in others it might well dominate. On the flip side: Less grand designs can be just as appealing as those on a larger scale, especially if they’re a better fit for your lifestyle and personality. The positive: They’re a great backdrop for dramatic lighting. Oversize pendant lighting can turn a room from forgettable to spectacular, and a vaulted ceiling makes it easy to suspend just about any design. 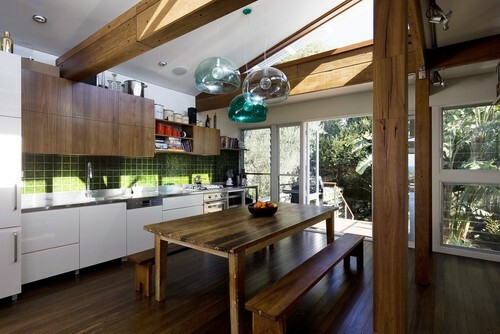 On the flip side: Big lighting may not be your thing, but without it vaulted ceilings can appear too high for comfort. Other height-reducing measures may be necessary to prevent the space from looking cavernous.